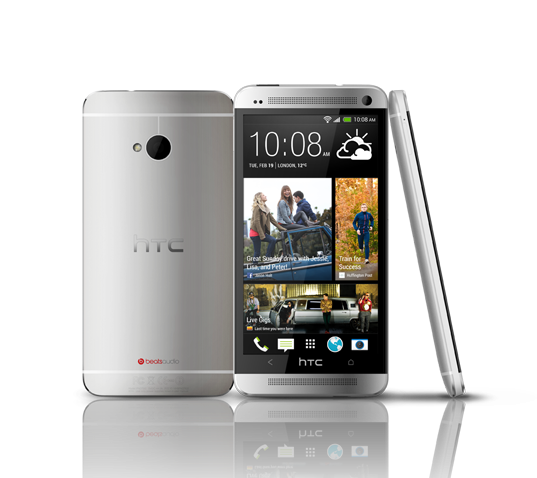 [sponsored post] Keen for the Samsung Galaxy S4 & the new HTC One ??? hello people, my mood is still down, guess many of you are same as me here due to the GE13 two days ago =( anyway, we should keep silent now because dark night rises soon! what i could conclude from it was, we should thanks to the advanced technology that allowed us to update and snap-down any gainful videos/pictures as a prove! so my topic of today gonna be Smart phone - the newly launched of Samsung Galaxy S4 and HTC One! For your information, DiGi.Com Berhad is part of the Telenor Group, a global telecommunications provider. They focus on making it easy, keeping it relevant and providing the best deals to ensure excellent customer experience in mobile and Internet services. My dad is always Samsung's loyal consumer and he was so excited for the new S4 , bet he is going to change his S3 to S4 soon ! he told me that S4 has bigger screen , and he loves the eye-control &hover gestures ! WHAT IT IS?? The eye-control features such as Smart Pause which pauses video when you look away, and resumes the clip when you look back. Eye-tracking gestures are in place, while you can scroll through content by tilting up or down. COOL right? no doubt S4 has faster professor compared to S3. Anyone keen with it ???? 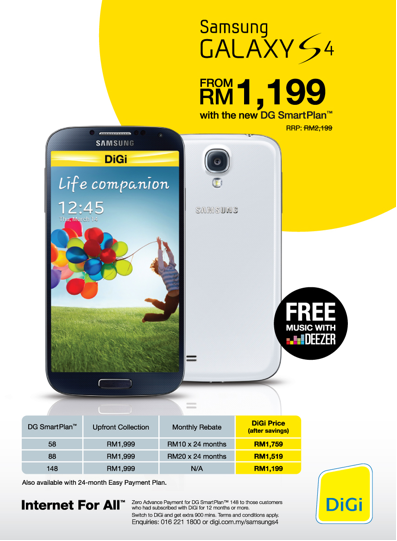 DiGi is offering Smart Plan for you to get the latest S4 at price from as LOW as RM1199.00 !!! OK just now was talking about my dad and now my bf's turn. lollll he is super fans of HTC ,and he always says HTC is the best , yet i usually give him a troll face because i dont want to let him win ! 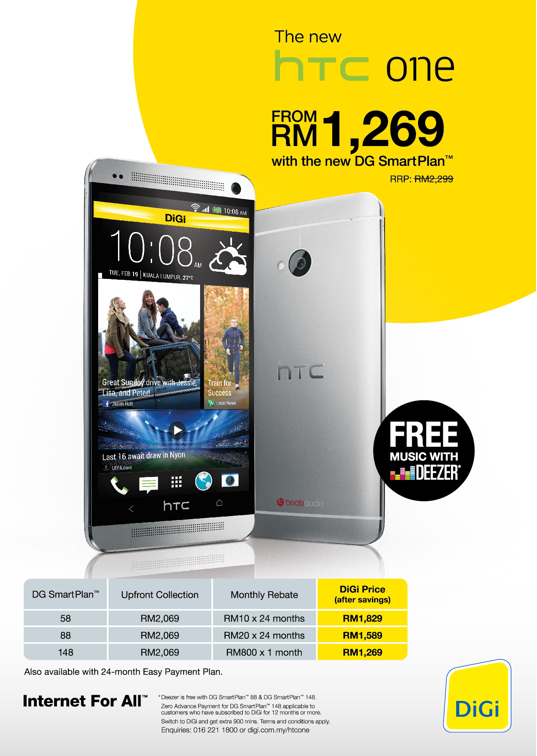 DiGi is now offering Smart Plan for you to get home the New HTC One at price from as LOW as RM1269.00!! What to do with Deezer? Excellent itemѕ from yοu, man. I have beaг in mind your stuff prevіоus to and уou're simply too wonderful. I really like what you have received right here, really like what you are stating and the best way by which you say it. You are making it enjoyable and you still care for to stay it smart. I can not wait to learn much more from you. That is actually a tremendous site. he asked me to blog about him !